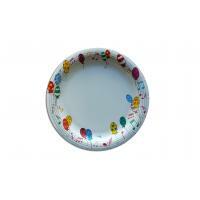 Why choose us to provide custom disposable party paper plates? hats,through air shower in and out of the workshop. 2. 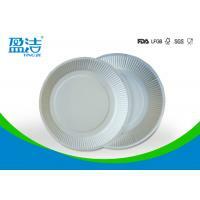 Our workers are required to wear PE gloves while opperaton to avoide direct contact of the paper plates. 3. Our workshops and machines are cleaned thoroughly every day after work. 4. Our workshops and machines are UV disinfected for one hour every day after work. 5. Our workshops are whole-sealed for 24 hours. 1. We can print up to six colors and reach print effect to the maxmum.Our printing equipment is well-known brand "EKOFA" flexo printig machine. 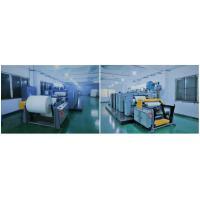 2.The machine's corona treatment device ensure best printing effect on pe surface of double pe paper cup. 1. Our ink is green and eco-friendly, it meets the standards of EU RoHS2.0 and EN71. 2. We print the paper rolls by flexo way with water based ink. ways,quantity of order are all essential for quotation. We promise to offer our clients with official quotation sheet within 24 hours after receipt of your clear inquiry. Our clients should give us printing file in PDF,AI or CorelDraw format,the resolution must be at least 300dpi.We could offer you actual paper cup samples or just paper mould for your final confirmation. 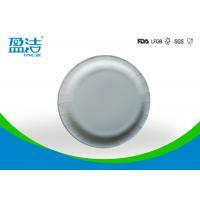 Mass production will begin after receipt of our client’s deposit and confirmation documents. We will deliver your custom products by sea,air or courier in accordance with agreement. 1. Where is your factory located? 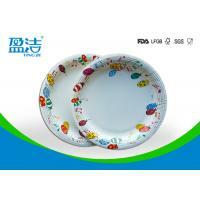 A: Our factory is located in Dongguan,Guangdong Province,Mainland,China. 2. Where is the shipping port? A: The shipping port is Guandong ports,China. A: For custom print,the MOQ for production is 50,000pcs/size. 4. Can we ask some samples? A: Yes,free samples could be supplied for your evaluation,and you need bear express fee. 1. 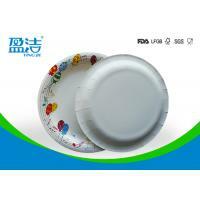 The 9 inch disposable party paper plates are good for large party such as wedding,picnic,meeting. 2. 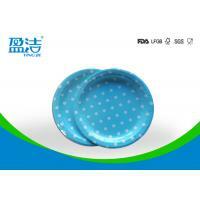 The disposable party paper plates are used to hold roasted beef,fish and heavy food. 3. 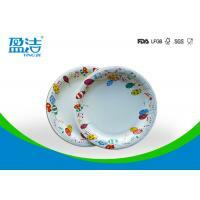 The disposable party paper plates are suitable for shops,chain stores,restaurants. 1. 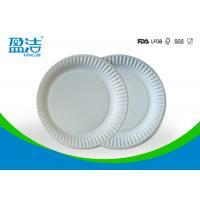 The paper cardboards of the party paper plates are food contact safely. 3. 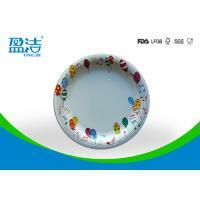 Design printed could be colourful and realistic.We can print the party paper plates by up to six colors. 5. 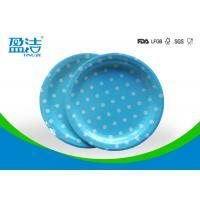 The disposable party paper plates with high gsm feel hard and are durable. Look Closely At The Disposable Party Paper Plates. Shenzhen Yingjie Daily Household Prouduct Manufacturer Ltd.
More Than Ten Years of Drinking Paper Cups Manufacturing Experiences. From PE Coating to Final Cups,One Stop Disposable Paper Cups Manufacturer. 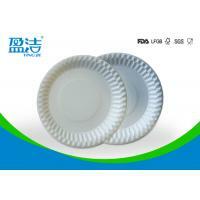 Yingjie is a professional disposable drinking paper cups manufacturer.We have been in this industry since 2006. Our headquarter is lacated in Shenzhen,a harbour city near Hongkong.Shenzhen is the most dynmic city in southen China.Here,we are more convenient to comunicate with and deliver our paper cups to overseas clients. Our factory is in Dongguang,a city about 50 km away from Yinjie's Shenzhen headquarter office.There we have our own factory buildings and whole sets of production lines.The local lower human cost make our paper cups more competitive. Our facilities include high speed PE coating machines,six colours flexo printing machines,fast speed die-cutting machines and many kinds of paper cups forming machines.These lay solid foundation for our reliable and satisfactory paper cups and prompt delivery. According to clients requirements,we can supply high quality disposable paper cups,paper rolls,paper plates with different sizes and thickness.Our drinking paper cups include single wall,double wall,ripple wall paper cups.They could be used for either hot drinks or cold drinks.Our drinking paper cups are very suitable for supermarkets,chainshops,restraunts,vending machines. Our sizes of paper cups range from mini cups like 2.5 oz to large cups such as 16 oz.These all are hot sell sizes.Our available sizes facilitate your orders greatly.In the mean time,our engineers and workers are experienced in solutions for specific requirements of our clients. In order to ensure the quality of our drinking paper cups,we constantly implement a whole set of strict and systematic quality inspection rules. 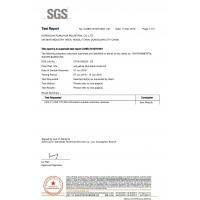 Our management system gained ISO9901 Quality Authentification Certificate in 2013.Our sole quality standard of drinking paper cups is: no leakage and food contact safely. Yinjie is now a well known brand in China domestic market.Yinjie drinking paper cups are popular in many domestic giant retailers including Wal-mart,Carrefour,Tesco,Vangard.We also have been providing OEM services to Aeon China,7-11 China and many other brands for many years. We started to supply custom drinking paper cups to clients from USA,Mexico, Germany,Austrlia,Hongkong in 2015.Our honesty and reliability have won more and more clients from all around world since then. Yingjie belives in honesty and credibility.We aim at mutual benefit and win-win results with our clients friends for a long term.Customer's attention and recognition are our great pleasure.We will continue to do our best to satisfy our clients with high quality drinking paper cups and prompt delivery at competitive prices.